Armagh Banbridge and Craigavon Lord Mayor has paid tribute to his Sinn Fein party colleague who died in a car crash yesterday. 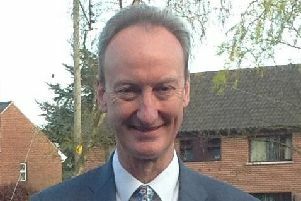 Lord Mayor Garath Keating described the sudden death of 52-year-old Timothy Woods as ‘devastating’. The one-vehicle crash happened at about 3.30pm. Cllr Keating said: “Devastating news this evening of the tragic loss of our esteemed Sinn Féin party colleague Tim Woods. “Affectionately know to his friends as ‘Spike’, he was a much loved and active member of his local community. “His wit and warmth will be sorely missed by many. “Our thoughts and prayers are with his family at this hugely painful time.